A young woman who exudes sexuality battles temptation. The passionate romance between an Irish-American man and a Japanese-American woman is threatened when the Pearl Harbor attacks happen and the woman is forced into a prison camp because of her ethnicity. Jessica Lange stars in a period drama about a family moving to a military base, and she quickly becomes part of a cover-up involving nuclear bomb tests. When a woman enrout to JFK's funeral befriends a black man's daughter, they experience numerous revelations and hardships. A young girl whose father died in the Vietnam War becomes determined to find out more about him and his experiences. Willcox Hillyer: [voiceover] In deep Dixieland, the month of October is almost summery. Willcox Hillyer: I had come south to visit my father. Mother had died a few years before, and Daddy was living all alone. He wouldn't have it otherwise. 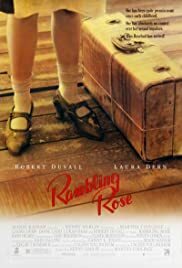 Gorgeous, touching film about a Southern family in the 1930s whose lives are disrupted by the arrival of Rose (Laura Dern), a so-called "loose" woman with a real heart of gold. 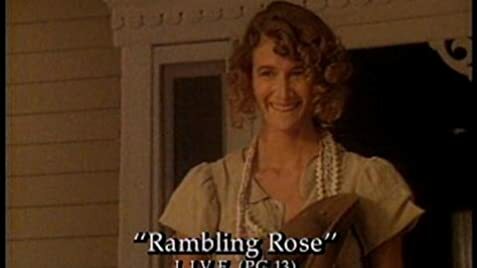 Dern is perfectly cast in the delightful title role, and her real-life mother Diane Ladd is brilliant as the matriarch of the conservative clan who does everything in her power to make sure the ignorant and self-righteous men around her don't harm the charming and "rambling" girl. Director Martha Coolidge has made a light and delicious Southern delicacy on par with Jon Avnet's "Fried Green Tomatoes" that is never less than totally enjoyable.